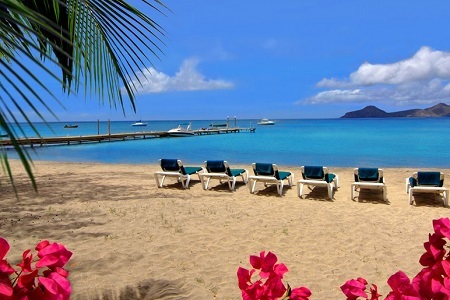 Oualie Beach Resort in Oualie Bay, Nevis, West Indies! Bid per Room Per Night and Choose Your Length of Stay! in Oualie Bay, Nevis, West Indies! 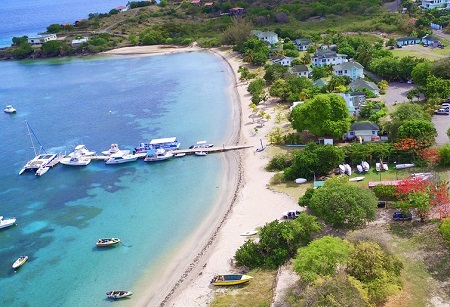 Oualie Beach Resort is a family owned 3 star hotel located right on the best beach on Nevis! Oualie ensures that each visitor has the authentic Caribbean experience that they have been dreaming of. 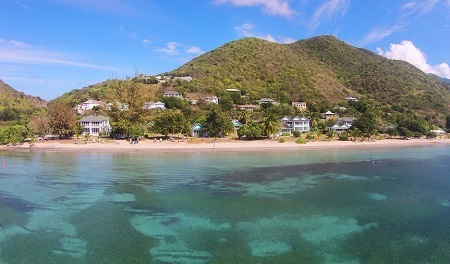 Oualie Beach Resort is located right on the beach in Oualie Bay on the leeward coast of Nevis, and adjacent to the famous Lovers Beach. The Resort started as a simple beach bar in 1983 and gradually evolved into an eco-sensitive 32 room beachfront property. Offer is based on a Single or Double Occupancy in a Standard Room for maximum of 2 Guests. 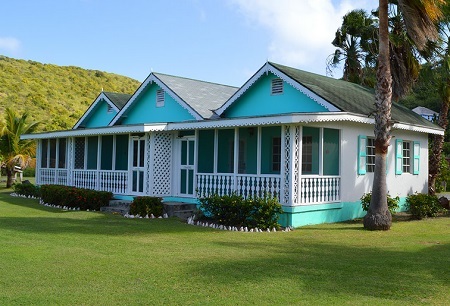 Rooms are spaciously scattered along Oualie Bay in single and two storey gingerbread cottages that reflect the traditional Caribbean style architecture of the Island.